The Green House Homes at Mirasol redefine coordinated care and healthy living for our aging family, friends, and neighbors. We’ve transformed the world of skilled nursing and support services through reimagined environments that apply thoughtful attention to the specific needs of elders. 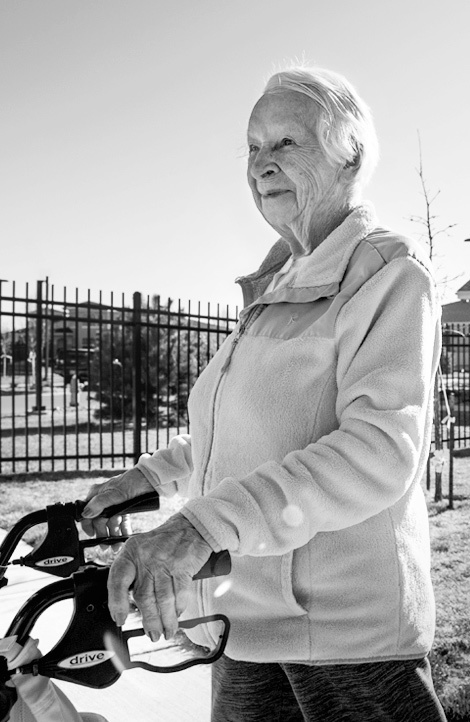 Expansion of our neighborhood will give us the ability to meet the demands of a rapidly growing senior population and ensure that elders with limited means can access optimal care and a nurturing living environment. With your support of this $3M Capital Campaign, we plan to build the next Green House Home in the Summer of 2019. 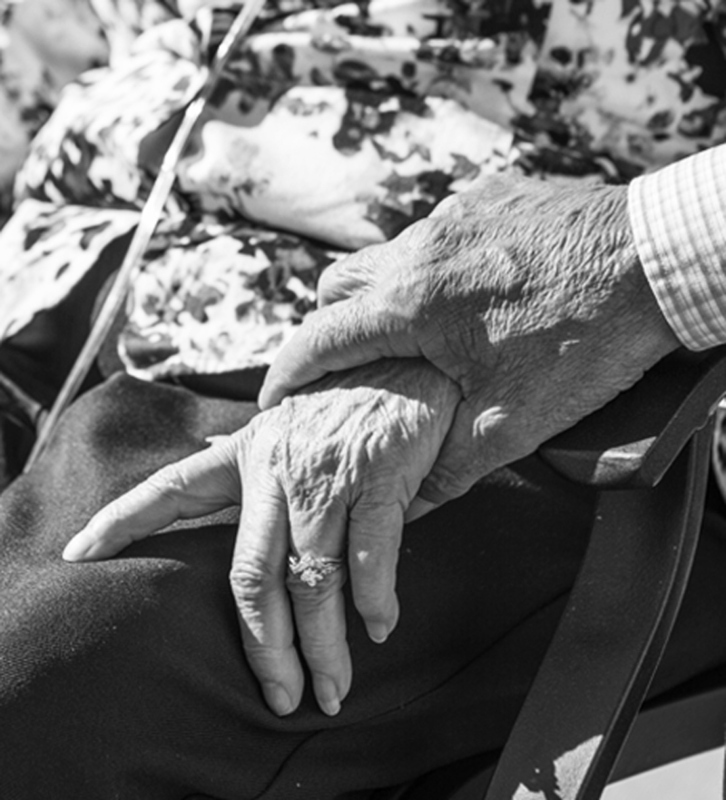 Over the next 30 years, we anticipate that each Green House Home will have provided care for 150 to 200 elders. Think about all of the lives this will impact. 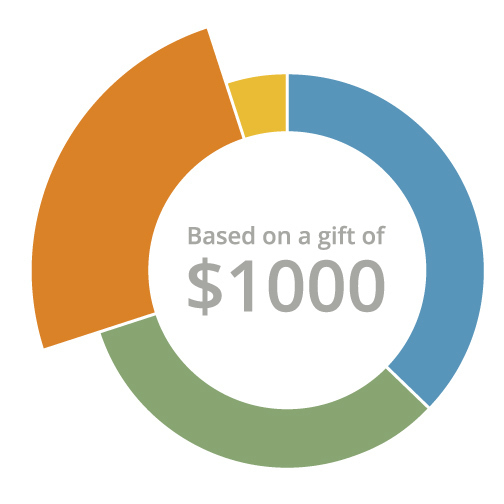 Multi-year pledges can maximize your gift in support of this campaign. 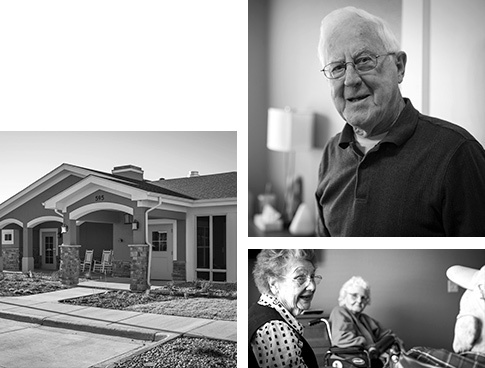 The Green House Homes at Mirasol divert from the traditional medical model approaches to eldercare that are the norm of long-term care facilities. We do this through person-centered care and innovative practices. We take pride in sharing our projects with the generous members of our community. 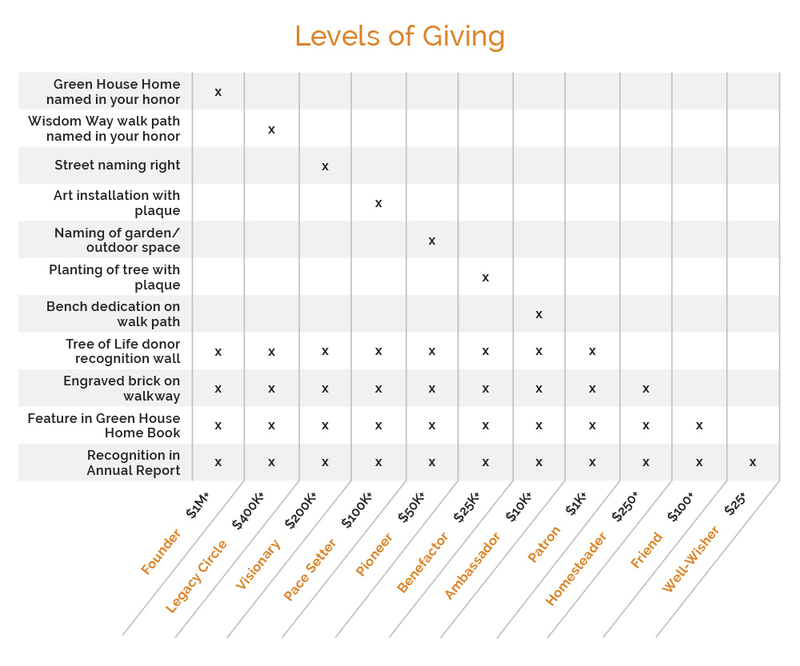 We appreciate the support and offer several unique opportunities for donors to commemorate their contributions. *You must file your State Income taxes electronically to get this tax credit.